Grand corner mansion with approx. 14,000 sq. 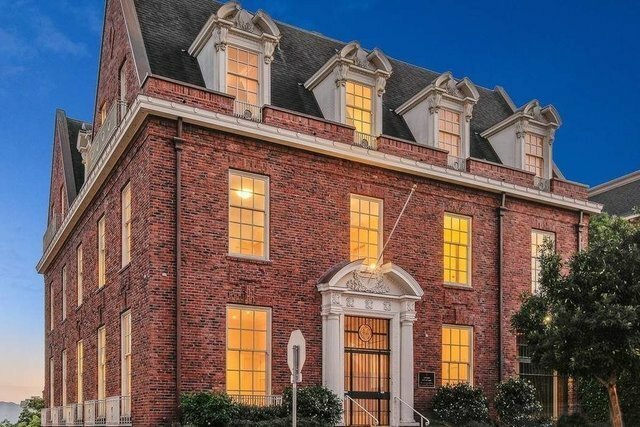 ft. of architectural perfection in the most coveted neighborhood of San Francisco: Pacific Heights. Originally built by renowned architects Bliss & Faville in 1906 and extensively renovated & rebuilt by Dan Phipps in 2010, including all-encompassing structural upgrades. This stately masterpiece has 8+ bedrooms, 6+ baths, grand entertainment rooms, elaborate crown molding, wood paneling and expansive ceiling height on all four levels of the main house. Lower Level is currently a massive guest quarters with incredible potential to become an entertainment/media level. Stunning city views, garden, roof deck, elevator and 6+ parking.